Biofuel (fuel obtained from non-edible oil seeds and other regenerative sources) is fast emerging as the alternate fuel for transport and power sector. The rapid increase in the fossil fuel price and the efforts for climate change mitigation has compelled the authorities to look at new renewable sources for fuel production. Biofuel is one such alternate fuel which is being developed in several countries as an important source of renewable energy. KSCST located in the campus of Indian Institute of Science has been playing a pivotal role in promoting Science & Technology through various R&D projects which are socially relevant. Student Project Programme (SPP) is a flagship programme of the Council and has been encouraging engineering students and others to take up innovative projects. 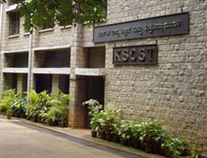 KSCST has recently set up a Biofuel Cell in collaboration with Karnataka State Bioenergy Development Board (KSBDB). KSBDB is the lead agency in the State extensively working for Biofuel Development and has taken up major projects to promote the Biofuel Development and create awareness in the State. In this direction KSBDB has set up of Biofuel Information and Demonstration Centers in all the districts of the State with a focus on Research and Development in the Biofuel area. In this connection KSBDB & KSCST jointly has taken an initiative to sponsor the students projects on Biofuels for technical guidance and financial assistance for Final year engineering Students (BE, M.Tech and MBA Students) and post graduate (M.Sc.) Students. The submitted projects shall be selected from the list of "projects selected under 41st Series of Student Project Programme for further development / development of prototype"
KSCST invites projects under any branch of the Engineering / Technology covering the following broad themes / categories. KSCST will not consider the proposals which fall in the following category. Literature surveys / Data collection based. Compilation of Internet downloaded information. Repetition of previous SPP Projects. Projects based on obsolete ideas. As done in the previous year, It has been decided to charge a fee of Rs. 1000/- (Rupees One thousand only) towards processing fees. Hence, while applying, the project proposals have to be accompanied with a Demand Draft for Rs. 1000/- favouring "Secretary, KSCST". The Demand Drafts to be obtained from Canara Bank / State Bank of India only payable at Bengaluru. The Project Proposals shall be prepared as per SPP proposal format. Applicants are requested to download the relevant word file of the SPP proposal and fill the same (Hand written proposals will not be accepted). The hardcopy of the proposal along with Demand Draft have to be submitted to KSCST, in a sealed envelope super scribing "Project Proposal for 42nd series of Student Project Program - Biofuel" addressed to The Secretary, Karnataka State Council for Science and Technology, Indian Institute of Science campus, Bengaluru - 560 012. The last date for receipt of Project Proposal is 18th January 2019. KSCST sponsored project details and information from 2012-13 to 2016-2017 is available online in the KSCST website as "SPREAD Online". The abstract and full report of 6 years starting from 35th Series is available for reference. This also provides student information on completed projects and problems / gaps in technology to develop a project proposal, references and avoid duplication. The Project proposals will be evaluated by a panel of experts for consideration for sponsorship by KSCST. The amount sponsored will be sent to the Principal by Cheque. The project guide shall take necessary steps to utilise this amount for the project work and submit the utilisation certificate and statement of expenditure through the Principal of the institution. The Mid-term evaluation of the projects will be done at the identified nodal centres or on video conferencing mode. The students need to demonstrate their project when invited to do so. The selection of projects for Seminar and Exhibition will be based on such evaluation. It is mandatory for the project team to exhibit / demonstrate their project in the nodal centre and in the seminar and exhibition (if selected). The final Seminar and Exhibition will be held during July / August 2019. 1st Week of August 2019. Students studying in final year engineering are eligible to apply. The Project Guides / HODs need to critically evaluate the project proposals and select the good proposals before sending them to KSCST. Each project proposal needs to be enclosed with a processing fee of Rs. 1000/- (Rupees one thousand only) in the form of a Demand Draft favouring "Secretary, KSCST". The Demand Drafts to be obtained from Canara Bank / State Bank of India only payable at Bengaluru. Without processing fee project proposals will not be considered for the evaluation. The college shall nominate the SPP Co-ordinator with whom KSCST can interact regarding evaluation of sanctioned projects, funding, project synopsis, report submission, participation in Seminar and Exhibition, etc. Please contact the Principal for the same. The project team (batch) can have up to a maximum of FOUR students. The team shall submit the hardcopy of the project proposal in the prescribed SPP format only (available in website), duly signed by their Project Guide, Head of the Department and Principal of the institution and it should reach KSCST on or before 18th January 2019. Project proposals sent after this date will not be entertained. KSCST sponsored project details from 2012-13 to 2016-2017 information is available online in the KSCST website as "SPREAD Online". The abstract and full version of 6 years reports are available. This provides students, information on completed projects, and problems / gaps in technology to develop a project, references and avoid duplication. Each Project team should send ONLY ONE proposal. The project team SHALL NOT change the topic of the project after the project has been selected and sponsored by KSCST and should not deviate from the identified objectives. In the event of any such changes, the project will be treated as cancelled and the college should refund the sanctioned amount to Secretary, KSCST, Indian Institute of Science Campus, Bengaluru - 560012. The SPP Co-ordinator of the college needs to inform the students who are submitting the project proposal to KSCST that they complete the proposal in all respects duly certified by the HOD / Project Guide and Principal of the institution. The project sanction letter will be sent to the Principal of the institution with copies to the Project guide and Head of the Department. The evaluation of projects will be conducted only at nodal centres. The students need to demonstrate their project in the nodal centre. The sponsored projects will be short-listed for Seminar and Exhibition during the evaluation. It is mandatory for the project team to exhibit / demonstrate their project in the nodal centre and also in the seminar and exhibition (if selected). The seminar and exhibition will be held during July / August 2019. Venue will be intimated to the college. The amount sponsored will be sent to the college account in the name of the Principal by A/c. Payee Cheque. The project guide shall take necessary steps to utilise this amount for the project work and submit the utilisation certificate duly certified by CA of the institution and statement of expenditure through the Principal of the institution. The nodal evaluation of sponsored projects will be conducted during May / June 2019 and the projects will be short-listed for annual Seminar and Exhibition. The juries will be selecting best projects for the awards at seminar and exhibition. It is mandatory for the project team (one student and Project Guide) selected for Seminar and Exhibition to participate in the event. This will be organised in one of the engineering colleges in the state. (Previous Seminar and Exhibition (41st Series) was hosted by Bapuji Institute of Engineering and Technology, Davangere on 10 - 11th August 2018). It is mandatory for the project team to send the project synopsis (of 2-3 page write-up) of the completed project for publishing in the form of digital / hardcopy of the SPP compendium which will be brought out during Seminar and Exhibition. It is also mandatory for the project team to submit one hardbound copy of the final project report along with a CD containing the final report (including cover page, initial pages, contents, Abstract) in .pdf format to KSCST. During the Seminar and Exhibition, "KSCST Best Project Award" will be presented to the outstanding projects with a cash prize (for both Students and Project Guides) and certificates to all participants of the Seminar and Exhibition in a function organized for the occasion. Kindly visit our website www.kscst.iisc.ernet.in/spp-biofuel.html for further details and announcements. KSCST sponsored project details from 1977-78 to 2012-2013 information is available online. The objectives and methodologies of SPP prompted to use the word "SPREAD" as an acronym [coined by taking the first letter of words Student Projects Reviewed, Exhibited, Awarded and Documented to name the application software developed for browsing and querying the SPP database. Students can get information about completed projects and note certain problem faced, further development of a project, references when implementing in their project and avoid duplication of projects while applying to KSCST for project sanctions.